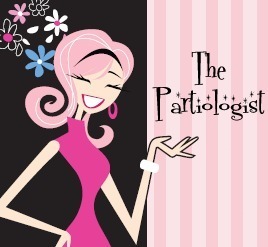 The Partiologist: Time For Dad! Running out of time to make something for Father's Day? Don't worry, I've got you covered. Poor Dad, it seems sometimes he gets left out of all my cute themed sweets, but not today. I've made TIME for Dad and you can too. Let's get started, time is of the essence. Bake any shape, I chose plaque shaped cookies. In you don't own an airbrush, no worries, I painted on swishes! 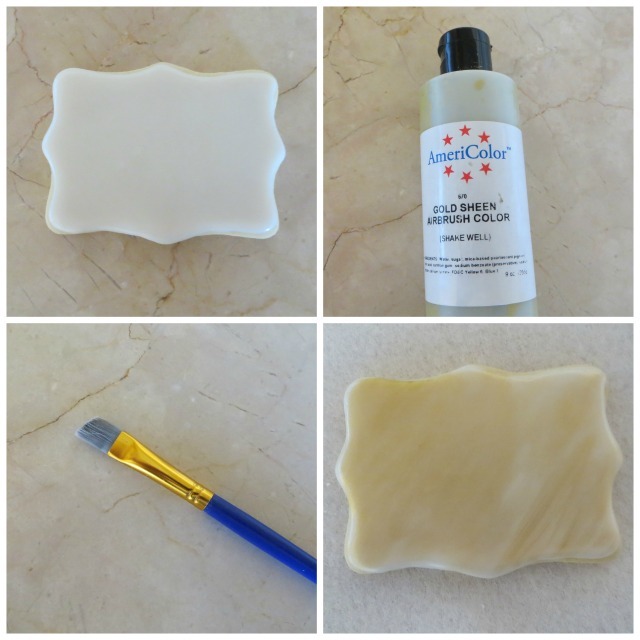 Use a clean paint brush and dip into the gold sheen airbrush color and brush away. 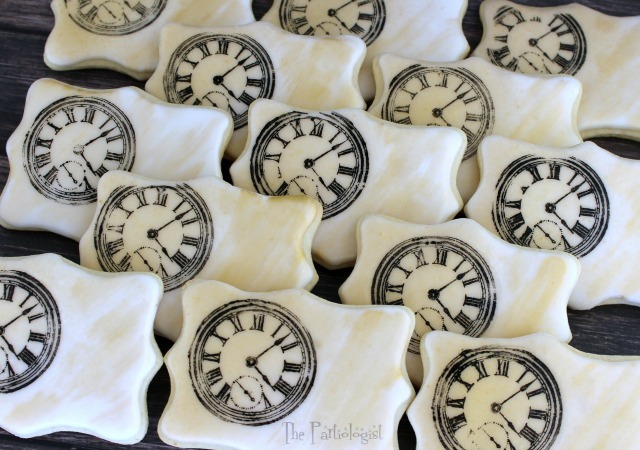 Supplies needed are a rubber clock stamp, black icing color and a clean paint brush. Paint the black icing color directly on the rubber stamp. Gently but firmly, press the stamp making sure all the stamp has touched the cookie. Life the stamp directly off the cookie and let dry. Now Dad will have more time than he knows what to do with and he will thank you for making time for him. 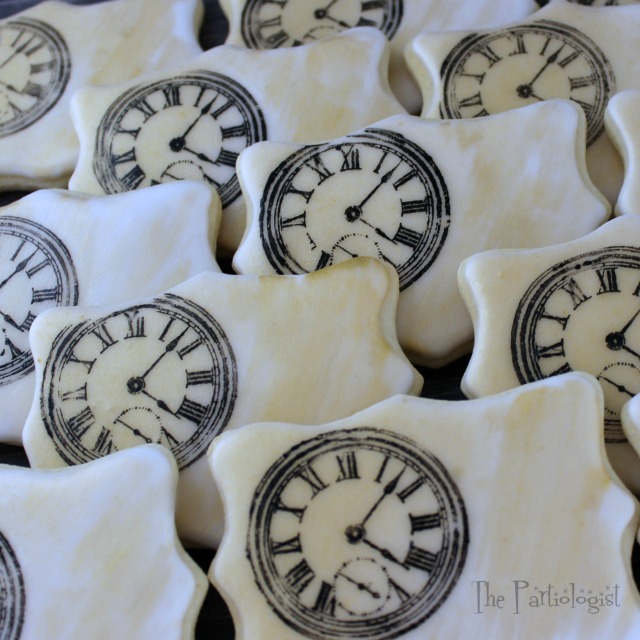 Isn't it TIME you make these cookies?